Olympic Athlete from Russia Aleksandr Krushelnitckii throws a stone during a mixed doubles curling match against Finland at the 2018 Winter Olympics in Gangneung, South Korea. 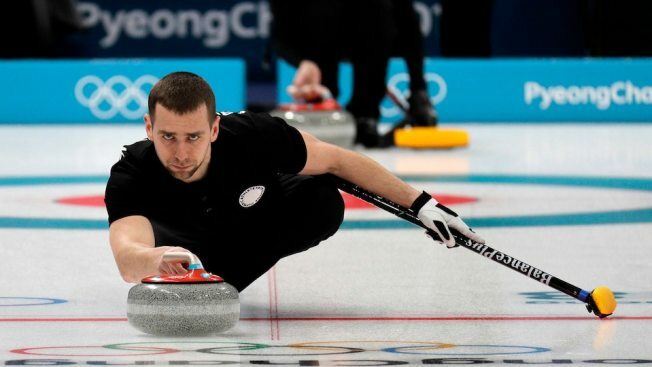 Within hours of curler Alexander Krushelnitsky being stripped of a bronze medal for a doping violation, the Russian Olympic Committee said it had paid a $15 million fee that was part of the criteria to have its team reinstated at the Pyeongchang Games. Russia's team was officially banned from the games because of widespread doping at the Sochi Olympics four years ago, but 168 Russians were allowed by the IOC to compete as "Olympic Athletes from Russia" under the Olympic flag. The IOC is due to decide Saturday whether to formally reinstate the Russian team for the closing ceremony the following day. With the doping case against Krushelnitsky shaping as a potential impediment, the Russians moved to settle the matter quickly. Krushelnitsky waived his right to a hearing at the Court of Arbitration for Sport, despite denying that he knowingly took a banned substance, and agreed that his doping samples taken at the Pyeongchang Games contained meldonium. On Thursday, CAS disqualified Krushelnitsky's results from the Olympics, withdrew his credential and referred his doping case to the international curling federation to determine a suspension from competition. The Russian Olympic Committee issued a statement saying it had returned the bronze medal which Krushelnitsky and his wife, Anastasia Bryzgalova, won in the mixed doubles. It also confirmed an investigation into how the banned substances got into his system has been launched. "The results of the doping samples taken at the Olympics are not challenged," the Russian delegation said in a statement. "The follow-up investigation will be carried out jointly by the law enforcement agencies, the Russian Curling Federation, and the athletes to establish all the circumstances of this case." The Russian committee also outlined its push to meet the criteria for reinstatement that were set by the IOC's executive board last December. "One of (the criteria) is the payment of the amount of $15 million for the development of the global anti-doping system and the facilitation of cooperation in this area between the IOC, the WADA and international sports federations," the statement said. "As of now, the ROC has paid this amount in full. "Thus, all the financial covenants toward the Russian Olympic Committee in order to lift its suspension have been fulfilled." Discussions between Olympic and Russian officials have been going on behind the scenes at the Winter Games, including a meeting between IOC President Thomas Bach and Igor Levitin, a former Russian minister of transport and adviser to Russian President Vladimir Putin. IOC spokesman Mark Adams confirmed the meeting happened but said it lasted four minutes and the main purpose was for Bach to wish Levitin a happy 66th birthday. Adams said Bach and Levitin "may have talked about something else," but he declined to speculate what that might have been. CAS said its decision was based on written evidence and Krushelnitsky accepted a provisional suspension beyond the Olympics, but "reserved his rights to seek the elimination or reduction of any period of ineligibility based on 'no fault or negligence.'" 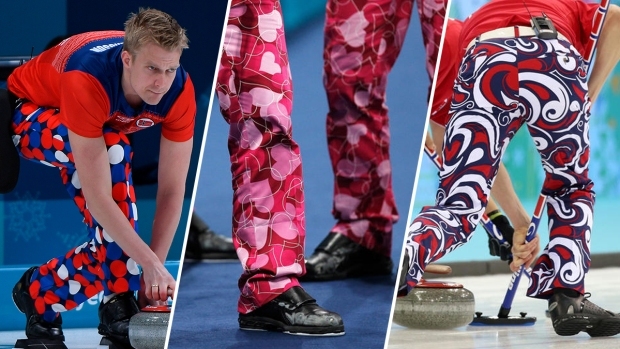 Dmitry Svishchev, president of Russia's curling federation, said he hoped the loss of the medal was temporary. "This is by no means an admission of guilt, nor an end to the fight for our guys' honor," Svishchev said. Krushelnitsky and Bryzgalova became the first Russians to participate in the Pyeongchang Games when they competed in a preliminary-round game on Feb. 8, the day before the opening ceremony. The statement said it would be "useless and senseless" for Krushelnitsky and Bryzgalova to fight the doping case during the Olympics but added that they considered themselves "clean athletes."